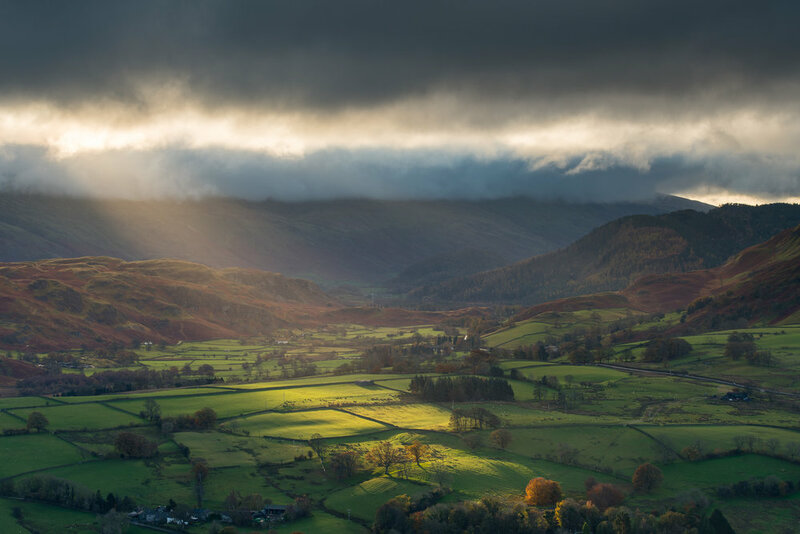 Over the last couple of weeks, I have shared with you part 1 and part 2 of my Lake District photo adventure. This week it's the 3rd and final part. I only photograph one location, but as you'll see, it's probably the best one of the entire trip. If you watched part 1 and part 2 you'll know that I didn't have the best of luck with the weather. For two days I had grey, flat light, and while I was capturing nice images, they just lacked the dramatic light that I know the Lake District can produce. Then, and I'm not joking here, the light broke through the clouds in the last 15 minutes of my adventure. I was just about to pack up and leave as I need to get back to my hotel to check out when all the action happened. As long as I could go away with one great image I would have been happy. It just happened that on this trip I needed to wait until the very end of my trip! Overall I had a really good time in the Lake District. While the photography was challenging at times, it was also a lot of fun. As is often the case with these trips the enjoyment comes from more than just photography. I'm a big fan of the outdoors, so just being outside and wandering about some of these great spots and locations is a wonderful experience. I also met some great people on my adventure. From fellow photographers, hill walkers, and even a fell runner. I guess I like to talk as much as I like to take photographs! 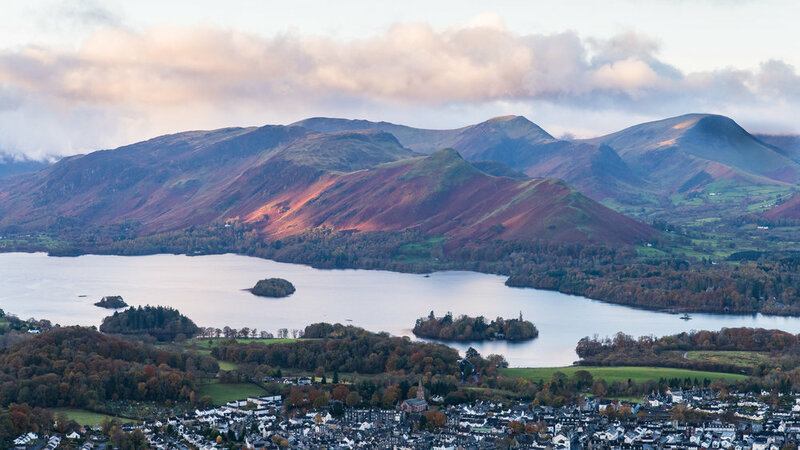 I hope you enjoyed this three-part blog and vlog on my recent Lake District adventure. I'm already making plans for more adventures next year, so remember to stay tuned. 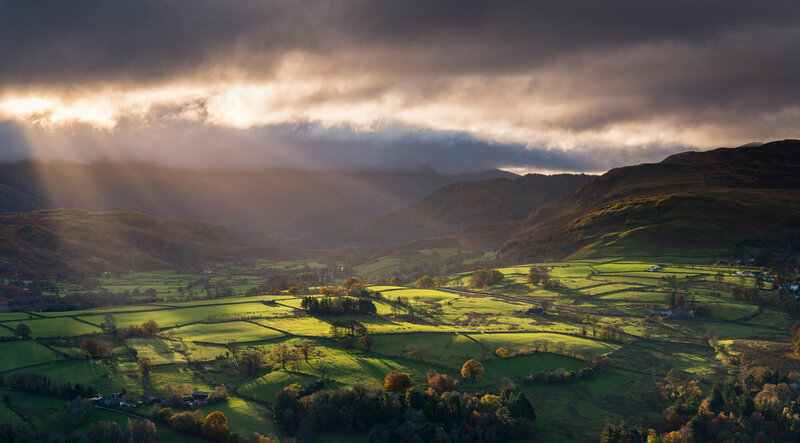 So have you ever photographed the Lake District? What has been your favourite 15 minutes of photography? Let me know in the comments below.